Find the right tour for you through Tsarang. We've got 14 tours going to Tsarang, starting from just 11 days in length, and the longest tour is 18 days. The most popular month to go is May, which has the most number of tour departures. "We found the Adventure Himalayan Travels and Treks company is very professional and..."
"I had a great time traveling to northern part of Annapurna Himalaya. 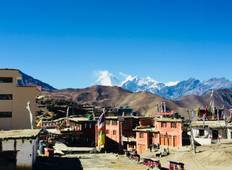 Mustang is a..."
"" Amazing experience in Nepal. 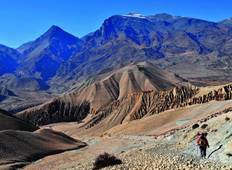 The trek to Mustang is truly mirrored of Annapurna..."